Balloons are an intrinsic part of childhood. Balloons mean birthday parties, fun fairs, or even handy tools for getting honey! Every time a child sees a balloon he imagines a kind of lifelong Lamorisse-style friendship where the two will be an inseparable pair, or perhaps he dreams that the balloon will carry him away on a marvelous adventure. 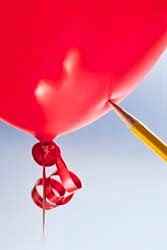 But in reality, a balloon serves as a lesson in the fragility of our existence, a gravity-defying memento mori that we give to children in order to remind them of the pain of unrequited love and the futility of attempting to hold onto our dreams. Let me elaborate. The trajectory of the average helium balloon is similar to that of the carnival goldfish: you get one for cheap (or free), and at first, it's delightful. It catches the eye, it moves and sways, it's shiny. Other children pass by eyeing it enviously, begging their own mothers to get them one, too. You are on top of the world. But then you realize what a burden your new prized possession actually is. Much like a high schooler who's been assigned a raw egg to treat like a baby, you quickly learn that you can't really do much while holding this thing. Where can you even put it safely in the car for the drive home? And when--not if but when--if the balloon goes "belly up," so to speak, and floats off into the ether, or hits a lightbulb and vaporizes, or simply runs out of air and loses its will to live, you are devastated. You wonder why you even kept it around as long as you did and didn't just go straight to getting a cheap thrill off using the helium to sound like "The Laughing Gnome." If you love something, let it go. If it comes back to you, it probably wasn't a balloon. Earlier I wrote about the Alien Giraffe phenomenon in children's toys. (Giraffes have horns in real life, not antennae.) Since then, I've noticed another curious trend: animals with dog noses. Now, that's a dog nose on an actual dog. 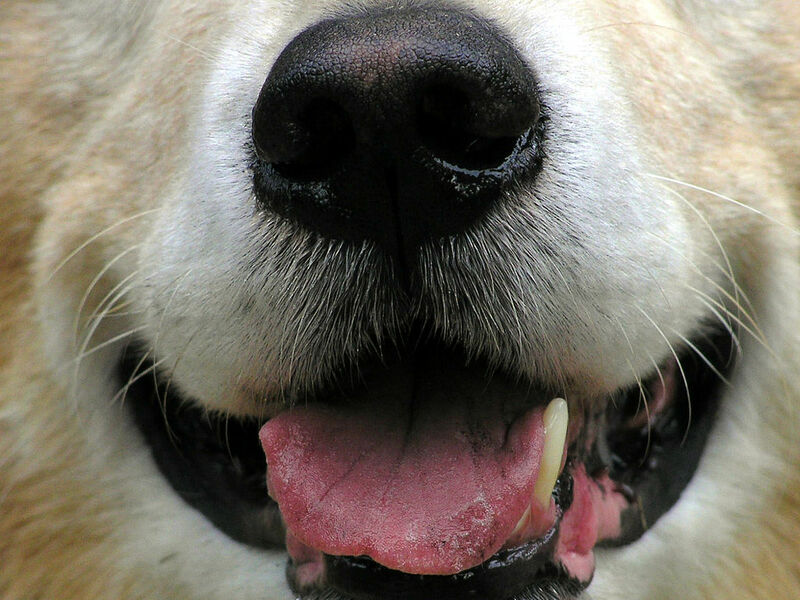 Dogs can and should have dog noses; it is normal, and good, and cute. But you know what doesn't have a dog nose? 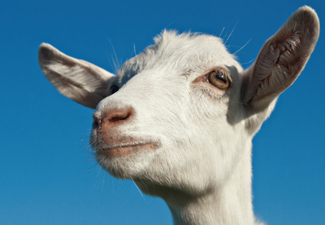 The goat isn't even that egregious, but how about an even more familiar barnyard animal? 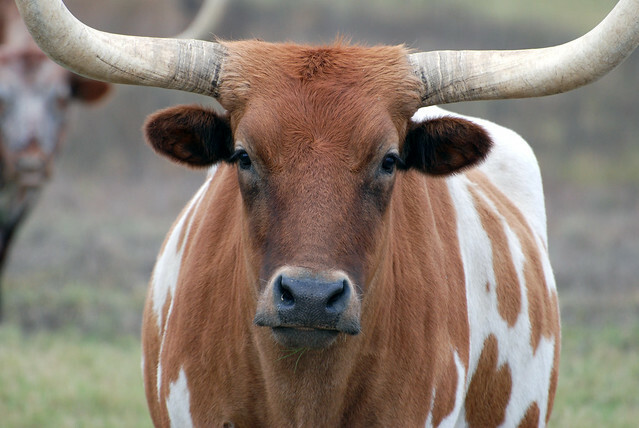 Now, look to the left of the bull. 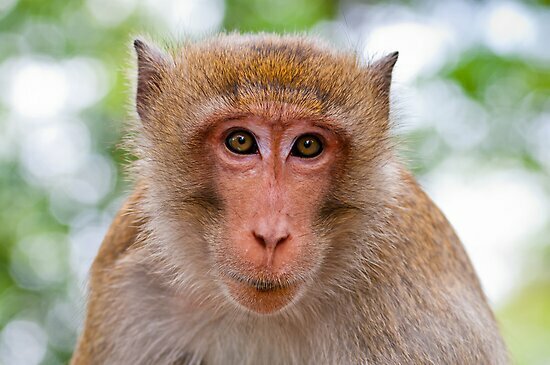 See that monkey? Its nose looks pretty good, doesn't it? Close enough. But now you know what's coming, don't you? the link that should have stayed missing. Perhaps I'm expecting too much of the children's toy manufacturers. After all, we've read about the exploits of Curious George for decades without ever quibbling that he's a chimpanzee and therefore a type of ape, not a "curious little monkey" after all. Perhaps childhood is not the time to debate zoological taxonomies, or even basic realities of what animals are and what they do; after all, this is a time when a lion and giraffe can be BFFs. Nothing's quite as heartwarming as a cold, wet nose. Get your own dog-nosed monkey teether! The news that they're making a new film version of the musical Annie dredged up memories of watching the original 1982 film while hiding under an afghan, covering my eyes. Now, for all intents and purposes, I really should like Annie. Heck, I should love it-- I'm a big fan of musicals, Carol Burnett, Bernadette Peters, and Tim Curry--heck, who doesn't love Tim Curry?--but oh, Annie terrified me. Annie tells the story of the tiny orphan victim of an abusive alcoholic sadist. Cheery, right? Along the way, there's animal abuse (the threat of Sandy getting sent off to the sausage factory? ), pervasive Orientalist racism (his name is "Punjab?" Really? ), a terrorist bomb plot (drat those Bolsheviks! ), and the revelation that Annie's parents were killed in a fire (Aaugh! Fire!). 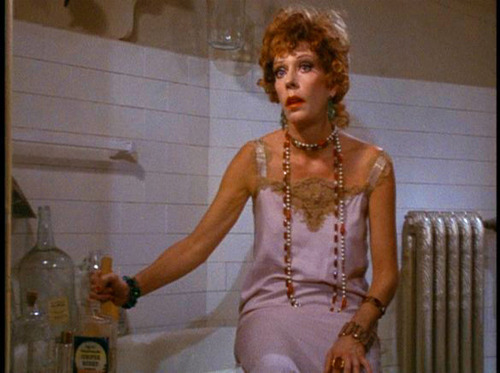 I remember when I cowered during the "Little Girls" musical number, as Miss Hannigan vowed to "step on their freckles," my mother comforted me by assuring me that "in real life, Carol Burnett was actually a very nice, very funny lady." This led to my (erroneous) years-long belief that my mother was somehow BFFs with the Queen of Television Comedy. I will say, in Annie's defense, that I'm sure it's hard to make an uplifting musical comedy about the Great Depression. 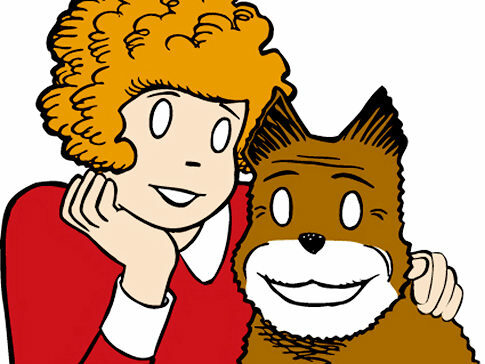 That, and I'm eternally grateful that the eponymous little red-mopped ragamuffin on film didn't have the same soulless, blank-eyed stare as her comic strip counterpart. No one cares for you a smidge when you're in an orphanage. Annie. Dir. John Huston. Perf. Carol Burnett, Albert Finney, Ann Reinking. Columbia, 1982. 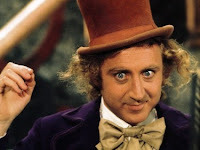 Let's get the obvious out of the way: the infamous boat ride from the 1971 movie Willy Wonka and the Chocolate Factory might be one of the single most disturbing scenes in all of children's filmdom. It just comes out of nowhere--first you're in a magical candyland where the river is chocolate and the daffodils are edible teacups, and next thing you know, you're thrust into some acid-dropping film student's homage to Un Chien Andalou. What just slithered across that dude's face? Wait--what just happened to that chicken? Did it just get its head cut off? There's no decapitation in kids' movies! When the 2005 film Charlie and the Chocolate Factory came out, it sparked a wave of nostalgia among people who'd watched the original version as kids. The boat scene was seen as a rite of passage, something that scared us all senseless as kids but which was almost laughable now: a kind of trippy cinematic non sequitur. But no one really seemed to talk about the actual message of the 1971 movie-- a movie that, it's worth noting, changed the title of the original book (Charlie and the Chocolate Factory) to Willy Wonka and the Chocolate Factory, which suggests that it is the eponymous chocolatier, not the Dickensian pauper boy with a heart of gold, who is the film's protagonist. And what does Willy Wonka do? He metes out justice as he sees fit, punishing those whom he deems unworthy and rewarding (after berating and terrifying) the worthy. Yes, he's a bug-eyed, nougat-making, Old Testament-style Santa Claus. So theoretically he humiliates/disfigures/maims/kills(?[!]) only the "bad" kids, right? Which is how most people remember the movie: bad eggs who had it coming to them get their just des(s)erts. My problem was that I was all of those kids. I loved chocolate! I would uncurl the outer layer of a Little Debbie Swiss Cake Roll and eat it as a sheet before unrolling the cake part and licking off the frosting (heaven!). I loved to chew gum! I would buy pack after pack of Freshen Up Gum, with its burst of minty juice inside that lasted all of five sweet seconds. I loved TV! I mean, just look at this ridiculous blog. And, while I hope I wasn't half as demanding as Veruca Salt, I did spend a lot of time loudly lobbying to get a pet--maybe not a golden goose, but still. So you can imagine the paranoia I felt during my first trip to Hershey Park. Any old sadistic cane-toting curmudgeon who hated the way that kids today liked gum and chocolate and television and things could do terrible things to you with no repercussions and probably even get his own movie named after him provided he sang some catchy tunes. Willy Wonka and the Chocolate Factory. Dir. Mel Stuart. Perf. Gene Wilder, Jack Albertson, Peter Ostrum. Paramount, 1971. "Sesame Street" has a lot to answer for, from the creepy visuals of "Twin Beaks" to the heartbreak of "Follow That Bird." 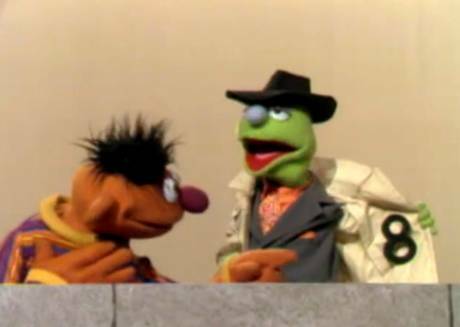 But one of the strangest things about "Sesame Street," bar none, has to be its inclusion of a kiddie-friendly flasher. OK, maybe now I realize he wasn't necessarily supposed to be a flasher--perhaps he was meant to be more akin to... an inept drug dealer? an unsavory knockoff Rolex salesman? But really, a shady character luring you over just so he can open his trenchcoat to show you something? You can see how I remembered him as a flasher. Apparently his name was "Lefty," and he's absent from the current incarnation of the show, and for good reason. He was always approaching the other characters and trying to get them to buy whatever letter happened to be under his coat at the time. Would you like to see his D? Maybe a little T and A? Fancy a nice F? It's easy to see how Lefty could be rated X. When Lefty asks you "Would you like to buy an O?," it's best to remember that that's only legal in the state of Nevada. I still was listening to LPs as a kid. There wasn't a large selection for me to choose from (that interested me, anyway--I wasn't one much for Dionne Warwick or Roger Whittaker), so there were a select few we kept in constant rotation. Chief among these was the Psalty series, which followed the adventures of a "big... blue... singing... songbook!" While an anthropomorphized hymnal might not seem like the most appealing--or marketable--of children's characters, Psalty and his retinue of spunky children sang a lot of catchy tunes and it was always fun to sing along. I never knew until recently that there were videos to go with the audio of the Kids' Praise albums-- and it's a darn good thing, too. Psalty appears as a man in gold facepaint with blue Bob Ross-like facial hair, and Charity Churchmouse has flesh-colored prosthetic Dumbo ears and a '50s-style circle skirt and looks like she just ducked out of a low-rent Furry Convention. The album featuring Charity had one profoundly scary moment for me, when she has a nightmare that the conman Risky Rat is trying to lure her into signing a "con-trap"--I mean "contract," and make her his "slave"--er, that is--his "star." Without being able to see Risky Rat, I was able to conjure up an image of him that was truly terrifying: a kind of cross between Ratigan from The Great Mouse Detective and Warren T. Rat from An American Tail, with a little Jenner from The Secret of NIMH thrown in. 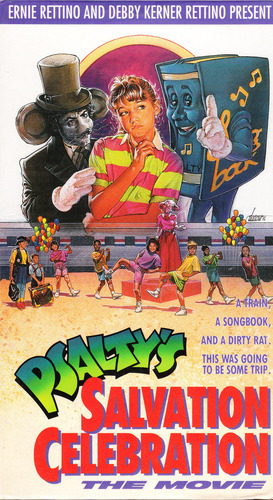 Still, nothing would have been quite as scary as the way Risky Rat is depicted in the video Psalty's Salvation Celebration, in which the whiskers-twirling villain actually tries to prevent children from saving their immortal souls (!!!). Always take a talent agent's promises with a grain of Psalt. Kid's Praise! 4: Singsational Servants. Perf. Ernie Rettino. Maranatha Music, 1984. Watch Kids' Praise 4 on YouTube here (Risky Rat appears around 32:00). Where I live, it's been over 100°F lately, and as I walk across parking lots in oven-like conditions, seeing the horizon line itself writhe with the heat, I've found myself thinking of "Pecos Bill." Then, once I started thinking about it, I found I couldn't stop. I was trying to decide if all my memories of the cartoon could possibly be real, or if I'd embellished them in my nightmares. Did it truly feature interspecies suckling, à la Romulus and Remus? Was there actually a scene where the hero rides a cyclone, rolls a cigarette on his tongue, and lights it with a lightning bolt? Did he really take potshots at Indians donning warpaint until he'd created the Painted Desert? And were Roy Rogers and Trigger somehow involved? So I watched it again to find out. He's then raised by coyotes (a childhood dream of mine realized, though yanking a coyote pup off its mother's teat to feed was perhaps a bit too visceral for me). One day, young Bill sees a young colt near death and being attacked by buzzards. Bill jumps into the fray and pummels the birds so hard their feathers fly off. In the aftermath, when Bill and the colt gaze at each other through matching blackened eyes, it is, as the narrator says, "the beginning of a bee-yoo-tiful friendship." They seal the deal with an Eskimo kiss. Bill tries to lasso Sue to bring her back down, but Widowmaker sabotages the attempt, and Sue winds up landing on the moon. Bill goes back to living with the coyotes, and he and Widowmaker live out their days together. You can lead a horse to water, but you can't make him like your girlfriend. 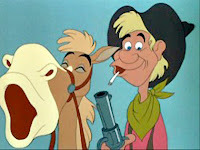 "Pecos Bill." Melody Time. Perf. Roy Rogers, Bob Nolan. Disney, 1948.